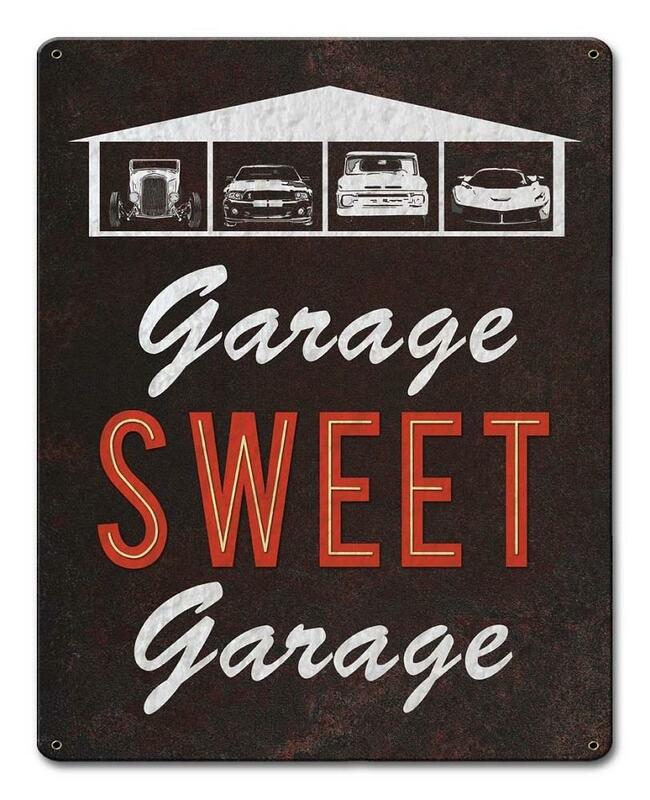 Garage Sweet Garage Metal Sign CCC014 - Free Shipping over $99 at California Car Cover Co. Enjoy the California Car Cover exclusive "Garage Sweet Garage" design that will add a little hot rod flash to your garage wall. Images are baked onto the powder coated 24-gauge steel signs. Each sign includes pre-drilled and riveted mounting holes for easy wall hanging. Made in the USA. Measures 12" x 15"